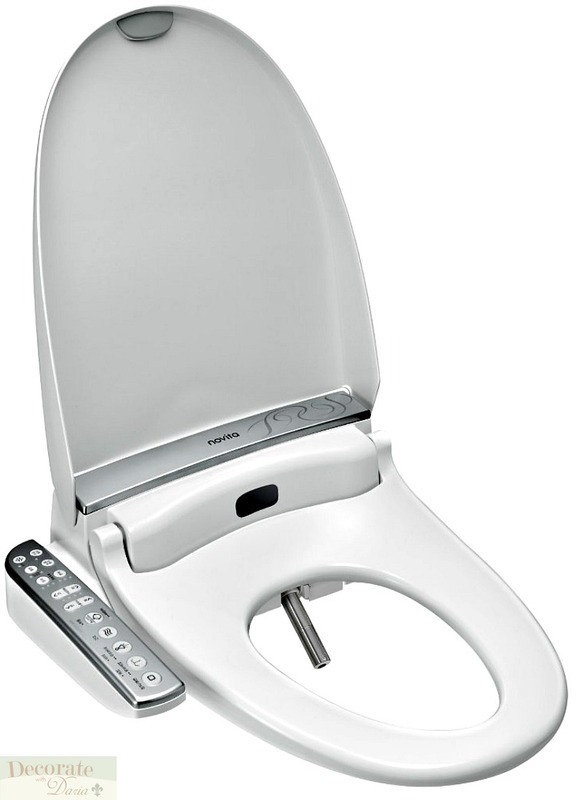 From Kohler Novita, the largest bidet seat manufacturer in S. Korea we are proud to introduce their newest model series. With TFR Hybrid heating, stainless steel covered wands and twin nozzles with silver nano-technology, these are the most technologically advanced bidet seats on the market today. Kohler Novita is one of the most respected bidet seat manufacturers in the world. 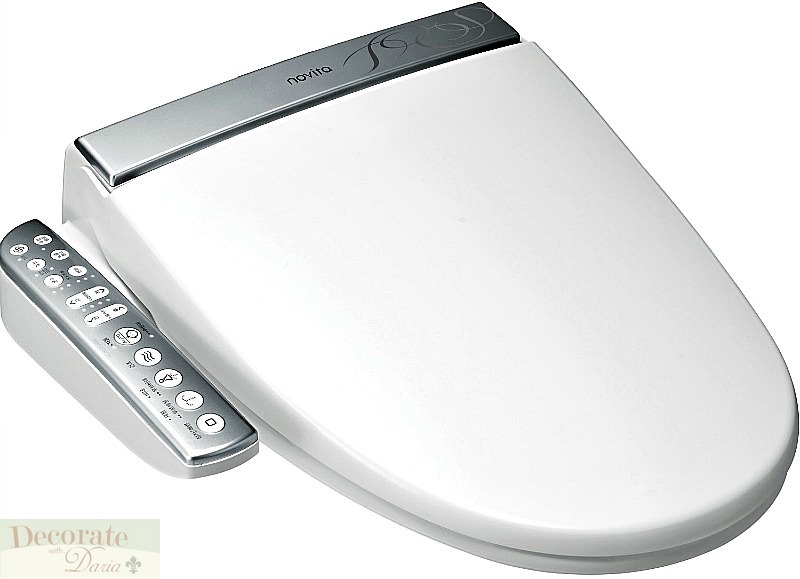 Loaded with some of the most up-to-date features in the industry, the Novita is truly a top-of-the-line bidet toilet seat. 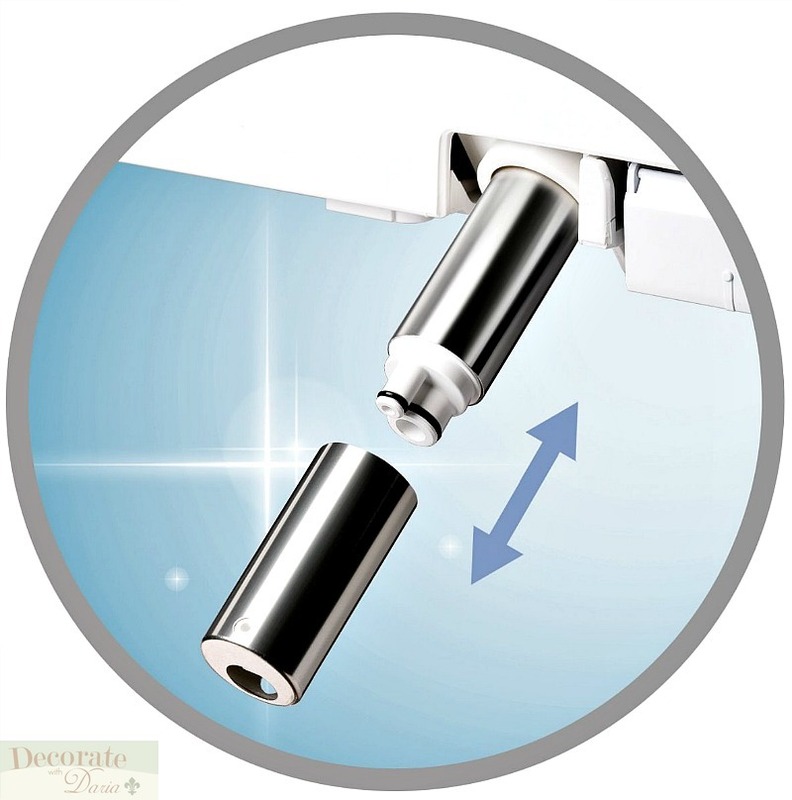 The technologically advanced Novita has a unique two-nozzle-in-one-pocket design of the wash nozzles features a stainless steel rear-cleansing nozzle, and contained within that is a smaller extendable feminine nozzle. This two-in-one design allows for maximum reach and more personalized comfort for the feminine cleaning function. 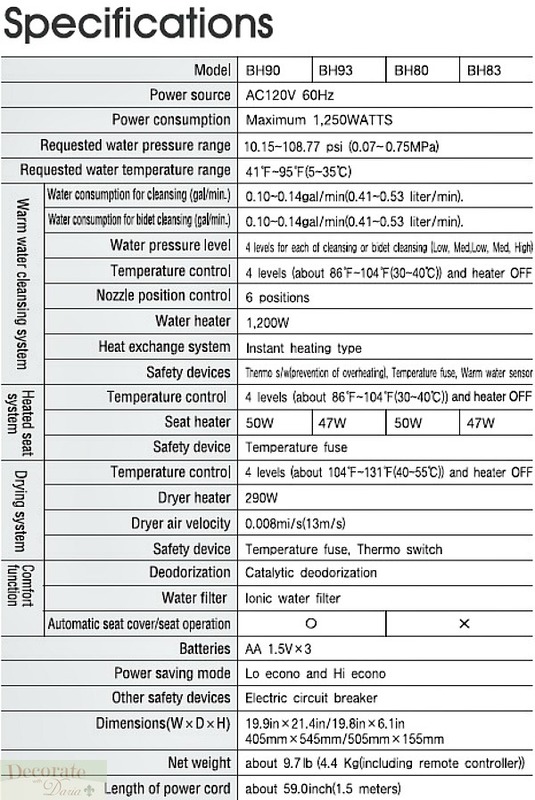 Besides being able to adjust the nozzle position on the Novita users can also adjust the water temperature and water pressure, as well the temperature of the heated toilet seat. These adjustable features along with the multiple cleansing functions such as turbo cleansing, air bubble cleansing, and even a child wash feature make the Novita one of the more convenient bidet seats on the market. Additional top features offered on the Novita include an instant Hybrid water heating system for continuous, on-demand heated water as well as a warm air dry for residual moisture after washing. The Novita also comes with a built-in air deodorizer and a power saving mode. 100% Coverage of all parts and labor for the entire bidet for THREE years from original date of purchase. Bidet Seat References. This Model is for the ELONGATED. 1. How do I know if my bowl is round or elongated? - Older or basic toilets are round. The inside RIM of the round toilet bowl is ROUND usually about 11 inches around. More modern or deluxe toilets have an elongated bowl, the inside RIM is EGG SHAPED, that is about 2 inches longer than it is wide, it's a noticeable difference you can see. If you're still wondering, you can measure from the front of the toilet tank, to the very front of the toilet bowl. That measurement will be about 17 to 19 inches if the bowl is round, and 19.5 to 20+ inches if your bowl is elongated. 1 PIECE TOILET - A toilet sculpted into a seamless unit, and has no crevices between the tank and bowl. 2 PIECE TOILET - This type of toilet has a separate tank and bowl which are bolted together upon installation. Is a professional plumber recommended for installation? All Novita bidets are designed for experienced do-it-yourselfers. Installation is simple as 1,2,3 and takes about 45 minutes. However, we recommend using a plumber just for peace of mind against any possible leaks. Elongated seat is oval shaped seats which is about 2" longer than a round bowl and often found to be more comfortable but in small bathroom, a round bowl can save space. One piece toilet has the toilet housed in one complete unit where two piece toilets has a separate bowl and tank. Offered Bio Bidet seat models are designed to fit all 2 piece toilets and most of 1 piece toilets. Only exception will be rare types of one piece toilets with severe French curves where toilet tank connects to the base of toilet such as type C below.